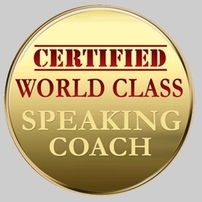 Welcome to our 8-Week Master Speakers Course sign-up page. You can book a place via PayPal below (also on the course details page). If PayPal does not suit feel free to contact us at info@speechcamp.ie for alternatives: we accept direct debit payments and cheques. After you pay your deposit (or full amount) we will send you a welcoming email with course details. Become a master storyteller and seller of ideas. Transform your business and personal life forever. Our 8-week course begins on Tuesday May 7th 2019 (running consecutive Tuesdays for 8 weeks). Our venue will be the The Academy Plaza Hotel, 10-14 Findlater Place (just off O'Connell Street), Dublin City Centre. NOTE: Before you sign up please read our Terms and Conditions.